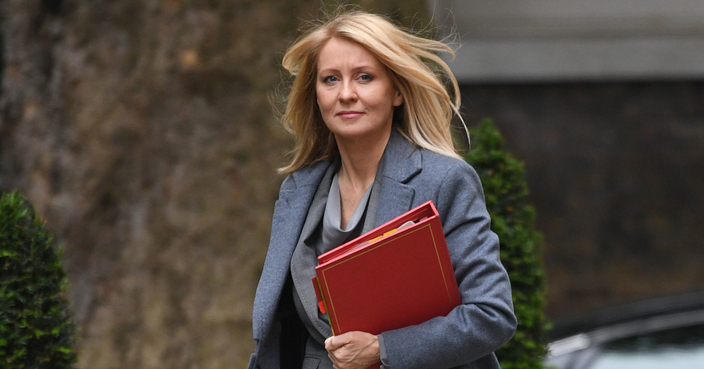 Former cabinet minister Esther McVey was taken to task on social media on Monday after tweeting and then deleting a false claim about the European Union. On Sunday the former Department of Work and Pensions secretary shared a tweet claiming all EU member states will “have to adopt the euro” after 2020 on her personal Twitter account, writing: “Are the public aware of this? and the many other things the EU has planned for its member states after 2020? #trust #WatchOut”. The tweet she shared, from the pro-Leave Brexit Central, linked to a 2014 opinion piece which argued that “political union in the eurozone is an economic existential necessity”. However, both Denmark and the UK have negotiated to remain outside the eurozone, in a similar way to how the UK is outside the Schengen zone of free movement and the EU Charter of Fundamental Rights. Her tweet, which she has since deleted, caused uproar across the social network as Ms McVey was accused of spreading misinformation. Activist Femi Oluwole, who campaigns for a so-called People’s Vote on Brexit, tweeted: “Esther McVey published fake news saying the UK would have to join the Euro if we stayed in the EU. The hashtag #McVeyFacts was trending across the UK on Monday as Twitter users tried to outdo each other with outlandish and imaginary “facts”. “Are the public aware that after 2020 the first born male child must be named Ian and that because of their standardised EU birth certificate, shall henceforth be referred to as ‘Europe Ian’. #McVeyFacts,” quipped one Twitter user. “Are the public aware that, by 2021, every school in every EU nation will be required to sing a song of allegiance to Jean Claude Juncker instead of holding an assembly? #McVeyFacts,” joked another. Ms McVey told the Press Association: “The truth is no one knows how the EU will change in the future and if the UK remains the changes it would undergo. However, both free movement of workers and qualified majority voting were part of the European Common Market before the UK joined in 1973. Steve Peers, professor of EU, human rights and world trade law at the University of Essex, said: “The basic framework of the EU can’t be changed without the consent of all its member states. Ms McVey continued: “In the EU referendum when people talked about an EU army it was said it was a lie and yet it is now seriously being discussed. Mr Peers added that “every member state has a veto or opt out from EU defence co-operation”.